WEST LAFAYETTE, Ind. 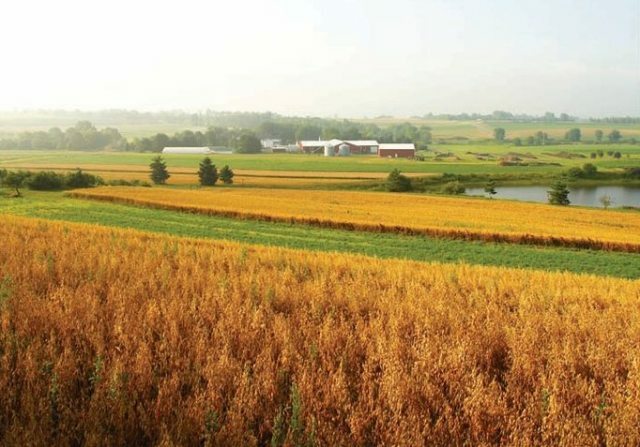 — A group from Purdue University will learn more about best practices for small farms at one of the oldest organic farms in Pennsylvania so they can develop programs to help start such operations across Indiana. The training in no-till organic systems, composting, soil health, nutrient management, integrating livestock in organic production and related topics will be May 12-15 at the Rodale Institute in Kutztown, Pa. The course, titled “Enhancing Environmental Protection through Organic Production,” will include field demonstrations and a three-decade comparison of organic and conventional grain cropping systems. “This is premier training,” said Tamara Benjamin, sustainable agriculture and natural resources scientist in Purdue’s Department of Botany and Plant Pathology who is organizing the trip. “There is demand for locally grown food as we’re more conscious as a society about where our food is coming from and how it is produced. Attending from Purdue will be seven Extension educators, an Extension specialist, a faculty member and a manager of the student-run farm. Representatives of the U.S. Department of Agriculture’s Natural Resources Conservation Service and Soil and Water Conservation Districts will also accompany the delegation. The experience will enable the team to provide workshops for training other Extension educators, conservation partnership employees and farmers interested in organic farming and to set up demonstration plots at various sites across the state by next year. The group will provide education and training not only for new farmers, but also for large-scale production agriculture farmers wanting to diversify by setting aside plots to grow fruits and vegetables. 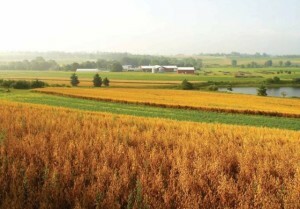 These farmers also are interested in conservation practices that organic farming systems, such as Rodale, have used for years. The training also will be for people who have been engaged in small farms perhaps for many years, but need more education to improve their operations. Benjamin, who was hired at Purdue to support new farmers and those wanting to diversify, said young people thinking about getting into farming also might be interested in the training and learn about adding value to their operations such as through agritourism and selling their produce at farmers markets. Read the full story via Group to get expert training in organic farming – AgriNews. One Response to "Group to get expert training in organic farming"
Grow swich products basically formulated on the basis of nano technology. I observed that all the needed plant nutrients incorporated in the Grow switch products and it is nano form so directly availble to the plants and absob in the cell and start action immidiately and no loss of nutrients and work more efficiently as compared to other products of the companies.I am happy to know that Grow swich products all are in organic form and produce higher yield and the yield potential of Grow switch will be comparable with the chemical fertilizer treatments.Moreover, organic farming products like grain, fruit, vegetable etc have higher price then fertilizer and pesticide produce.So in this way also Grow switch products are more effective as well as economical one. I learnt so far that organic farming give less crop production as compared to fertilizer farming.But, organic products have higher price as compared to fertilizer farming , however, organic farming is not remain economical one, so majority of the farmers are not adopting organic farming and they prefer fertilizer and use of pesicides on crop to control pest. Grow swich products will increasing the area of organic farming in the world as farmers are aware of the Grow swich company and know the benefit of the product.I think that it very great contribution of your company to turn in organic farming in profitable.The peoples would get quality organic products and they remain healthy one and no infestation of severe diseases like cancer, paralysis etc by consuming fertilizer and pesticide products. Indeed, your contribution would be great. I think that if the farmers would use Grow switch product like FULLON alone in organic farming then farmers definately produce higher crop production and get higher price of the farm produces so organic farming will be in more profitable as compared to farming with fertilizer and use of insecticides.